Anyone who saw Beloved Prophet Muhammad (Peace be upon him) in his lifetime, believed him as the prophet of Allah, and died as a Muslim will be defined as Companion or Ṣahābi. It is the common Islamic theory that the status of all the noble sahaba is much higher than that of all other human being except all the prophets. It means, according to Islam, after all the prophets, the companions of prophet are the most respectable human beings. 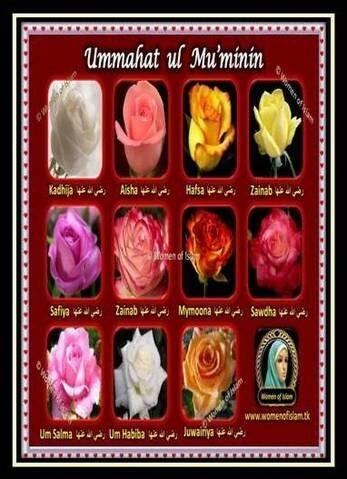 Sahabiyat means female companions of Prophet Muhammad ﷺ. They are pious and noble women, they sacrificed their lives and wealth for Allah and his beloved prophet ﷺ. They are considered as highest rank among women in Islam. Wali Allah are the pious people those who obeyed and followed the orders of Allah Almighty and sunnat of beloved Prophet sallallahu alaihiwasallam in every aspects of their life and finally were pleased and accepted by Allah Almighty. A Wali is someone who occupies a very close station to Allah and is protected by Allah from major sins and repetition of sins in general, and kept in a state of obedience. It is a very special rank and position of acceptance given by Allah to His beloved servants. When we call Awliya or Wali Allah, it includes whole Noble Sahaba (the companions of beloved Prophet ﷺ), Tabi'een, Tab al tabi'een, Imams and other Awliya. However, whenever people speak, they used to call sahaba in their unique name as "Sahaba". Since it is the noble status in Islam. Hence, commonly we say waliyullah for Tabi'een, Tab al tabi'een, Imams and other Awliya. It is the common Islamic theory that the status of all the noble sahaba is much higher than that of all Awliya Allah. Likewise, the status of all Awliya is higher than that of other ordinary people like us. and this is Asif bin Barkhiya (a non-prophet human), the scribe and relative of Prophet Sulayman (Alaihissalam), according to the Tafsir of Ibn ‘Abbas and the majority of commentators. ♣ Hazrat 'A'ishah (RadhiAllahu Anha) narrated: "When he (Abu bakr) was on his deathbed, my father(Abu bakr) said to me: "Verily, you have two brothers and two sisters." So, I became startled at this, as I only had two brothers and one sister. He referred to his then-pregnant wife, Bint Kharijah, saying: "I see that she is pregnant with a girl," and that turned out to be exactly the case."